Catriona from the New Adventures continues his story. Catriona Goodlund was born to be a warrior. Now, after years on the road to knighthood, protecting and saving her friends, it’s time for Cat to face the secrets of her past and finally decide her future. 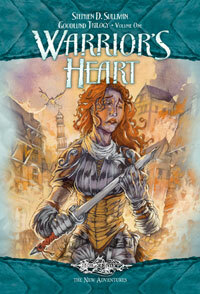 But when she returns to her hometown, she finds the Heart of Purespring gone and destruction all around. With everything she’s ever loved lost to her, Catriona must make her choice: revenge or redemption? In the deserts of northern Solamnia, many surprises await Catriona Goodlund. The treachery of a friend. The humiliation of captivity. The joy of a long-sought reunion. 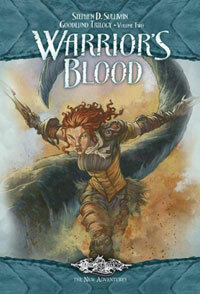 With one shock after another, Catriona learns at last whether the blood of a warrior beats within her. Buried alive and left for dead, Catriona awakes in a tomb, sealed off from her family and friends. 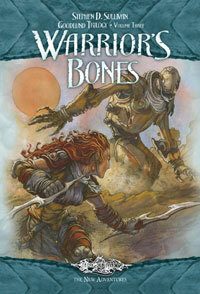 Thinking their champion dead, Catriona's friends try to continue without her. As Cat struggles to find them, the companions discover the meaning to their long struggle in the desert. A buried secret. Help in unlikely places. Intrigues and enemies. At the culmination of Cat's long journey home, will she prove that she has the strength to be the warrior she was born to become?